Fish team up for more food! Cooperative behaviour to acquire food resources has been observed in hunting carnivores and web-building social spiders. Now researchers have found comparable behaviours in a fish species. A tiny striped fish called Neolamprologus obscurus only found in Lake Tanganyika in Zambia excavates stones to create shelter and increase the abundance of food for all fish in the group. Led by Hirokazu Tanaka of the University of Bern in Switzerland and the Osaka City University in Japan, this study is the first to document how team work in fish helps them to acquire more food. The research is published in Springer’s journal Behavioral Ecology and Sociobiology. Neolamprologus obscurus is a highly sociable species of cichlid found only in the southern reaches of Lake Tanyanika. These zebra-striped fish feed mainly on shrimp and other invertebrates found along the bottom of the lake. At night, shrimp move into the water column, but by dawn they sink back to the lake bottom to hide in crevices and holes, including the shelters that the fish have dug out under stones. Such excavation work is always done as a group, as is subsequent maintenance efforts. Breeding fish seldom leave these safe havens and are supported by up to ten helpers from their family group. The helpers protect the brood, and constantly remove sand and debris that fall into the cavities. “The function of these excavated cavities is much like that of the webs of social spiders, which live in groups and share the trapped prey among group members,” explains Tanaka. In this study, Tanaka and his colleagues wanted to find out if the size of the cavities at the bottom of the lake relate to the abundance of food available in the area, and if the presence of helpers influences the size. Through hours of scuba diving in Lake Tanyanika, the researchers created artificial cavities and examined the stomach contents of some of the fish. In another experiment, the researchers removed helpers that were assisting breeding fish. Within a week, enough sand had fallen into the cavities to decidedly shrink these spaces. This effect was augmented when the helpers removed were big. One of the key findings was that the size of an excavated crevice had an influence on the amount of shrimps that subsequently gathered in it. When there were more helpers around, the space that could be created was bigger and more shrimps could be gathered. “Helpers in Neolamprologus obscurus extend and maintain the excavated cavities, and by doing so, contribute to an increase in food abundance inside the territory of breeding females,” explains Tanaka. “Fish living in groups may be able to increase and maintain considerably larger excavated cavities per capita compared to solitary living fish. Consequently, group living enables Neolamprologus obscurus to efficiently increase the prey abundance in their territory. This increases the body condition and future reproductive success of breeders and/or helpers,” adds Tanaka, who suggests that there is a clear benefit to group living for this species of fish. Far away from immaculate and cutting edge technology equipped operation theaters in the United States, a lanky missionary and eminent surgeon Dinesh Vyas is running around Institutions in India to sensitize people for prehospital trauma care to save millions of human lives. 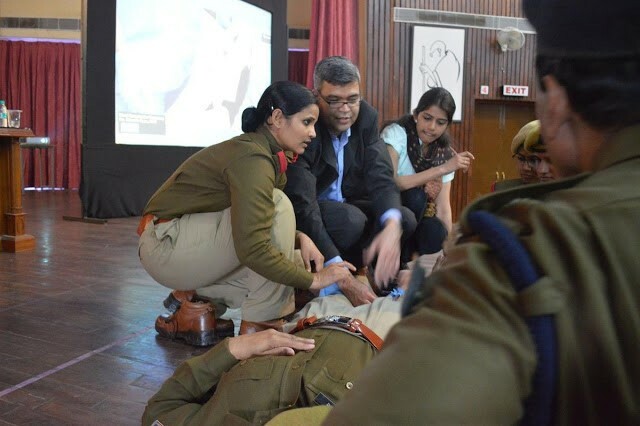 Fired by missionary zeal, Dr Vyas, during his brief sojourn in India recently, engaged with those who can change the trauma care narrative and envisioned that a high tech training program could bring the desired change. “We can transform the trauma centers into survival sites rather than hopeless units.it needs slight but structured training to those who handle trauma victims on daily basis like security persons. It is not exaggeration but unpalatable reality that over 1.3 million traffic related deaths occur per year globally. This is apart from 20-50 million people sustaining permanent injuries or disabilities”, Says Dr. Vyas, Program Director Surgery Residency, Associate Professor, California North State University. Quoting reports ,Dr Vyas told this writer that the Association for Safe International Road Travel predicts road traffic injuries to become the fifth leading cause of death globally by 2030 if corrective measures were not taken immediately. Glancing through his lap top screen in a corner of Gurugram club (India)where he was interacting, a determined Dr Vyas asserted that besides being a major strain and drain on health care system and the system’s meager resources, road trauma and mortality inflict massive emotional liability.A countless lives can be saved with preventive measures. 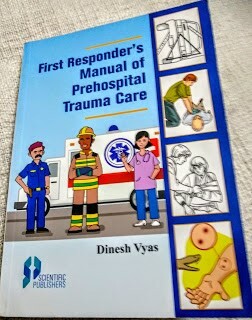 He carries with him a 202 pages manual –First Resonder’s Manual of Prehospital Trauma Care , And shows how human lives can be saved with advanced training. According to him, Mission Million Life Fighters is panacea for the scaring scenario and “it needs support from all stake holders to turn tables”. With over 10,000 first responders trained, these fighters is one of the fastest growing dynamic educational platforms that will help address today’s trauma crisis. Elaborating the ambitious plan, he says the Vyas Global Pre-hospital care Education initiative is one such initiative, and with the training in 2015 of over 10,000 True first responders –policemen, fire fighters, workers at industrial sites, teachers and common persons – this platform better known as MMLF is a fastest growing, dynamic educational program .They can and already has helped this crisis in India, Texas (USA), Costa Rica and other nations. Number of trained hands are increasing every year but it needs urgent attention of stake holders. The plan has effectively transcended the barriers of conventional training. His team has established multiple, self-sustainable training centers throughout India by the concept of ” training the trainers”, thereby generating capable first responders from both medical and non-medical backgrounds; these responders stabilize the injured and possibly allow some type of additional medical to be instituted immediately to allow eventual transport to the healthcare facility. According to him, Trauma epidemic in fast growing economies and rural USA needs a unique and disruptive approach. Dr Vyas and his team of mass communication experts and animators are pushing the project relentlessly. Experts say their pedagogical approach will save millions of trauma victims and other patients in desperate need of emergency care across the globe in next ten years. He observes status of trauma care is quite bad in rural swathes of US, and unfortunately, same situation is prevalent in urban belts of India. According to observers, the cost involved in such training is quite meager vis-à-vis saving of lives who can be productive assets of the nation. 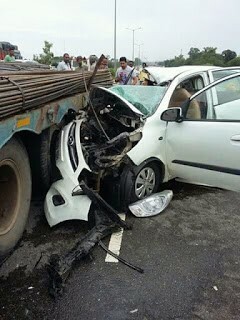 For example, ever since inauguration of the Yamuna express highway connecting Delhi with Agra, six years ago, a total of 7.65 crore drivers used the Expressway till last year.A total of 626 people lost their lives in 4,848 road accidents on the 196-kilometer-long Yamuna Expressway ever since it was thrown open to public in August 2012, an RTI had revealed. Between August 2012 and June 30, 2017, a total of 4,848 road accidents were registered by police on the stretch, in which 626 casualties were reported, with 2016 reporting the highest number of accidents in a year. 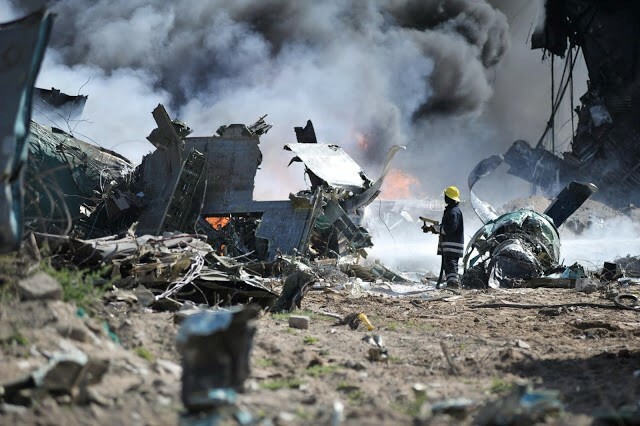 Experts say a number of these lives could have been saved, had there been perfect handling of the victims.So for such reasons, both government and private players in close rapport with common people, must come forward to lend support for training programs. responders – who are the first rescuers to arrive at the accident sites. It will save about 50 bn Dollars annually. He has already trained scores of first responders in India using simulator dummies. For last few years, he is trying to enlist support from the country’s IT, Auto and healthcare industry through their CSR (Corporate Social Responsibility) Programs. His team is making presentations to foundations and various bodies to win support for the program that will save millions of lives every year. With many first to his name and more than 20 years of experience in advancing surgery, research, innovation, education,technology integration and global health, Dr Vyas, a Rajasthan born specialist,has successfully turned around 3 surgery residency programs; Authored 3 surgery books, authoring 2 novels and approx. 100 chapters and SCIENTIFIC peer reviewed articles.He has innovative self-sustaining Global Health programs has exponentially grown in last 15 years. In 2009 he developed first MOOC program in medicine and is highly successful. Dr. Vyas is editor-in-chief of Surgery and GI journals and on editorial board of more than 10 journals including NATURE group and 3 textbooks. He is the pioneer in the most advance surgery: imaging guided, robotic and hybrid endoscopic surgery by describing NEW surgical procedures. He is a board member of biomedical start-ups and helps with direction/funds to their success and integration with industry. STRONG (Save trauma and road navigators) initiative is 17 years now, and has successfully launched many products to save million lives by 2020 . The program centers are focusing on trauma in rural US and globally fast growing economies.